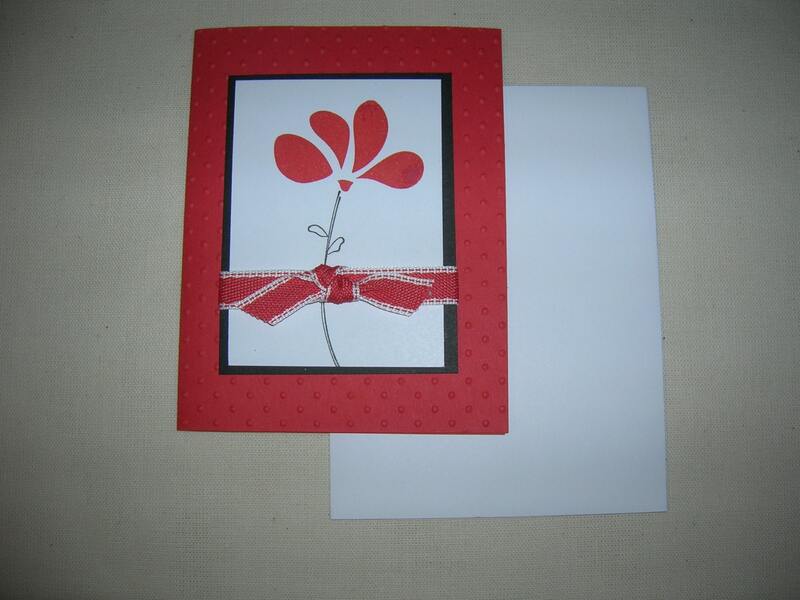 One vibrant orange handmade card featuring a two step hand stamped flower and ribbon embellishment over a polka dot card base. Size 4 1/4' x 5 1/2". Blank inside to write a beautiful heartfelt sentiment. Card comes with a white envelope wrapped in a cello sleeve.